Christmas Expo is owned, managed and produced by ProShow, Inc. in Monroeville, PA and comprises a partnership between sisters, Joyce Perhac and Janice Blasko. Can we register to attend on-site instead of using the web? You can register on-site by visiting the Registration Desk lobby near the Vendor Exhibition area at Christmas Expo. Note that registering on-site means the state may insist on charging you sales tax which, unfortunately, we have no control over. When do I get my show credentials? When you arrive at the Convention Center, check in at the Registration Desk to pick up your badge and session tickets. 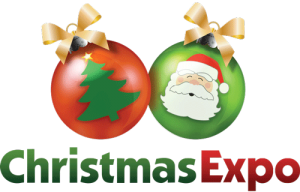 Is Christmas Expo handicapped accessible? The Christmas Expo event is held in a handicap-accessible public Convention Center. The education sessions will not be recorded. Can I record the sessions I’m attending? The session presentations are copyrighted material and using any recording devices during the session is not permitted. What’s the Christmas Expo dress code? No suits and ties here – respectable shorts and shirts will be the usual dress code observed by most attendees. However, be aware that the temperatures inside the Convention Center and classrooms can vary wildly from warm to chilly and, unfortunately, we have no control over the thermostat. The area is usually warm and humid in the summer with temps in the 80’s and 90’s. Feel free to write to us with any questions.